This program is a one-year rotation in equine clinic designed for national or international candidates already graduate in Veterinary Medicine. Our program aims to give a broad view into the world of equine veterinary medicine, surgery, anesthesia, reproduction, diagnostic imaging, emergency and critical care. During the entire program the candidate is permanently supervised by a team of boarded veterinary specialists and their respective residents. The program runs from the first of July till the 30th of June each year. During the first 3 months all rounds are English-spoken, but all communications with clients and /or referring veterinarians are conducted in French by the clinician in charge. As of September with the return of our veterinary student in the clinics, the most of the activities will be predominantly in French. All candidates accepted in our One-year Clinical Externship in Equine Health will be provided with a desk in a same office for better interaction with the rest of the clinical team. Accepted candidate are expected to follow the training any day of the week with some rotations including emergency duties at night. The objective is to train executives able to apply and propose multi-criteria evaluation methods to improve the global quality of animal production systems. The MSc programme combined scientific and technical knowledge and field experience. It provides an in-depth knowledge for traditional and local production. The Veterinary Campus of Lyon (VetAgro Sup), first veterinary School to be created in the world, is accredited by the European Association of Establishments for Veterinary Education (E.A.E.V.E. ), the American Veterinary Medical Association (A.V.M.A.) and is the only veterinary institution in France to offer a Summer Equine Clinical Externship program for veterinary students in English. students who want to improve their knowledge of English before going abroad for further specialization. 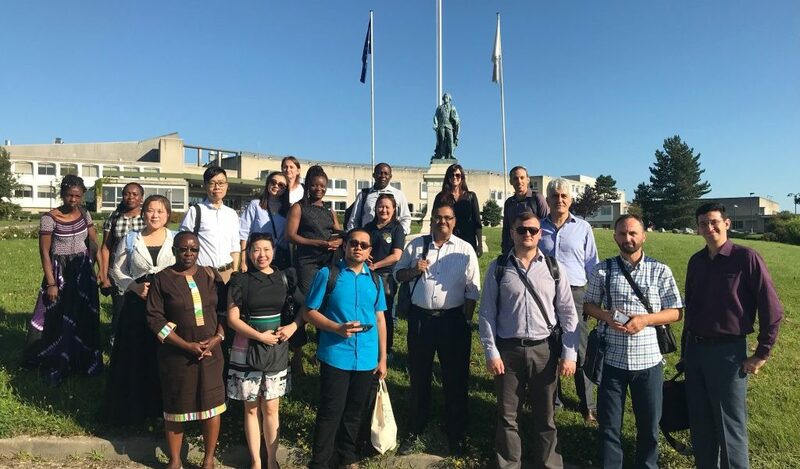 during nearly three weeks (June 19th – July 5th 2018) 19 participants from 14 countries (Argentina, Azerbaijan, Brazil, Cameroon, Hong Kong, Iran, Kazakhstan, Kosovo, Malaysia, Uganda, Philippines, Taiwan, Turkey, Ukraine) will familiarize themselves with animal health and welfare issues affecting trade between European Union and third countries. Are you interested in agroecology systems? And specific in the livestock component? Would you like to broaden and deepen your understanding on this topic from a broad perspective and European context? Then this summer school might be something for you. Agroecology is receiving increasing attention as a sustainable solution for future agriculture. Livestock is a key component in agroecological systems. Yet livestock production gives rise to growing concerns about social and environmental consequences. Implementation of the agroecological approach therefore is of growing importance for the future of agriculture, in specific livestock systems. This training course for veterinary officals was developed by the Ecole Nationale des Services Vétérinaires (ENSV) within the network of OIE Collaborating Centres in cooperation with professors from France’s four veterinary schools, the Ecole Inter-Etats des Sciences et Médecine Vétérinaires de Dakar (EISMV, Senegal), and the University of Montreal (Saint-Hyacinthe, Canada).